Home Scandal and Gossip Crazed sittercity nanny takes baby boy with her to torch ex’s car. Crazed sittercity nanny takes baby boy with her to torch ex’s car. Bethany Carslson NYC mother hires Leslie Rosario from sittercity.com only to find her baby’s caretaker is the crazed babysitter from hell. An Upper West Side, NYC mother has told of her regret after using a babysitting service to hire a caretaker for her one year old son. 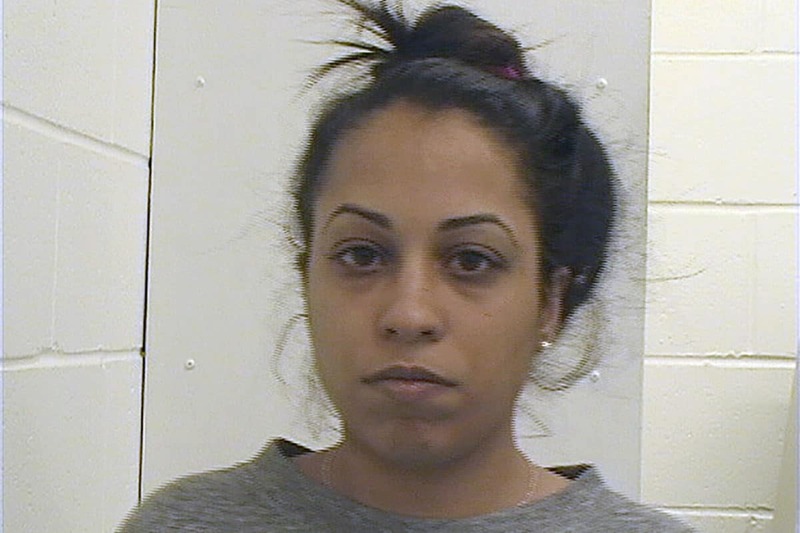 A nanny as it turned out who decided to take her one year old son along for a drive out to NJ as she torched her ex boyfriend’s car. Anyone for an extra dash of milk and honey? Bethany Carlson’s woes began when the mom hired Leslie Rosario, 31, from the website sittercity.com to watch her one-year-old son- only to later find out that her son’s sitter was the crazed nanny from hell. 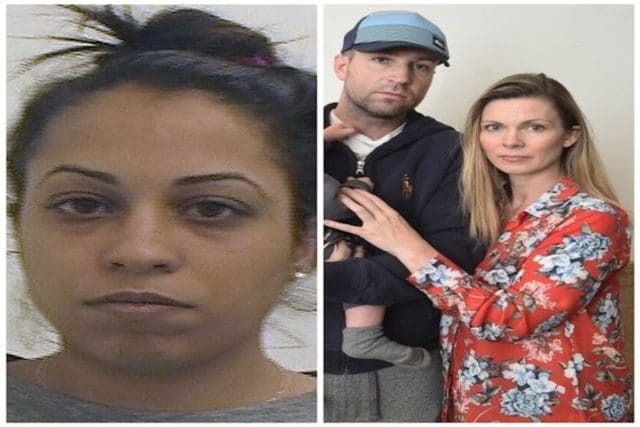 Police reported Rosario taking one year old boy, Frankie to Mahwah, New Jersey on Oct. 5 and setting fire to her ex’s 2010 Mercedes Benz outside of the Sheraton Hotel on Route 17. She left the youngster in the lobby as she committed the act. The delicious incident led to Rosario being charged with third-degree arson and endangering the welfare of a child. Carlson is now seeking redress from sittercity.com, with the babysitting service boasting of having ‘connected millions of families and sitters’ since 2001. ‘I’m furious that they don’t take responsibility for who’s on their site. There are so many things that could have happened. Who can trust this site? My mind goes to the Upper West Side nanny killer. It’s fresh in everyone’s minds,’ she said. 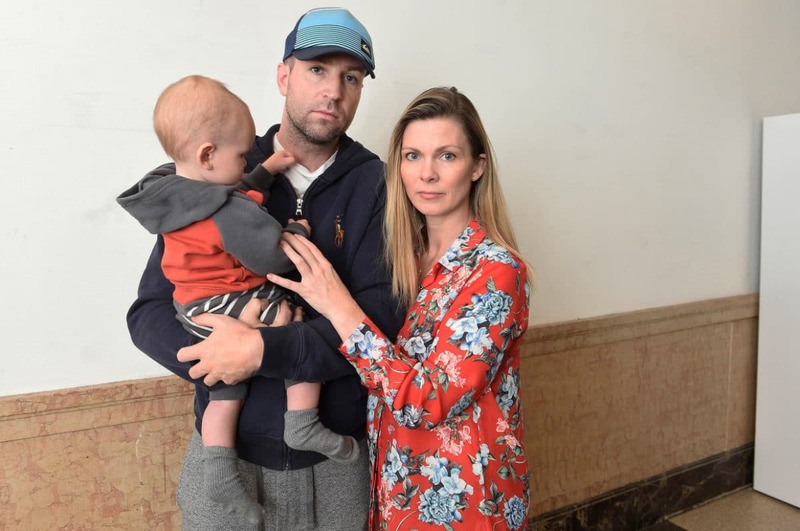 Pictured U.W.S NYC couple, Frank Jakoubek and Bethany Carlson with one year old son, Frankie. Carlson, 42, and her husband, Frank Jakoubek, hired Rosario in September to watch Frankie, three to five days a week. They paid $35 a month to the sitting site and were comforted that Rosario’s profile was ‘verified’ and that she ‘had references,’ according to the mom. Carlson now admits having a ‘gut feeling’ about their new nanny, who’d show up late for shifts and made different excuses for not arriving on time. Carlson says she had no idea her baby boy was in harm’s way or that Rosario had strayed from strict instructions not to put Frankie in a car. Cops detained Rosario at the hotel but she gave them a fake name for Carlson, so the boy’s family had no clue what was going on. Rosario, who avoided being arrested at that time, then failed to show up for work at Carlson’s home on Oct. 8, later claiming that she had been robbed at knife-point.